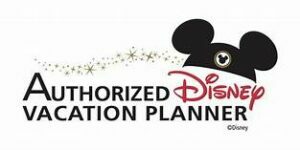 Every September, Disneyland temporarily closes down the beloved Haunted Mansion ride to add a special holiday overlay. 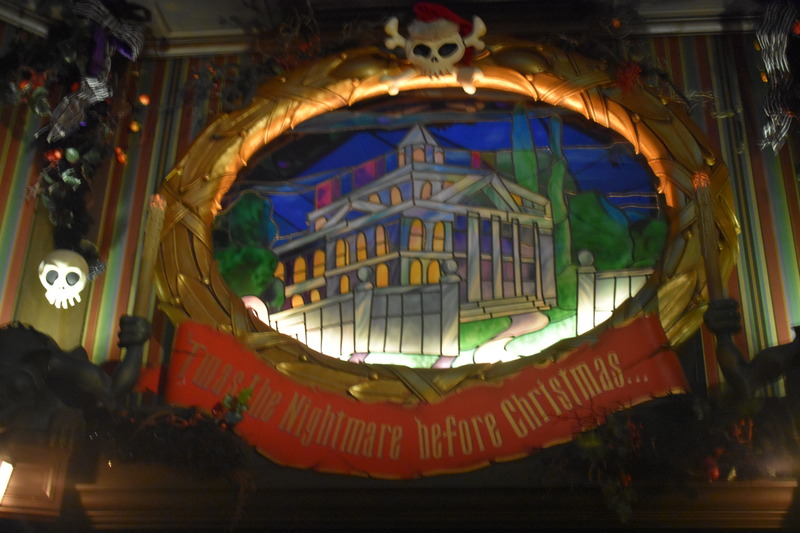 The Haunted Mansion turns into The Nightmare Before Christmas! 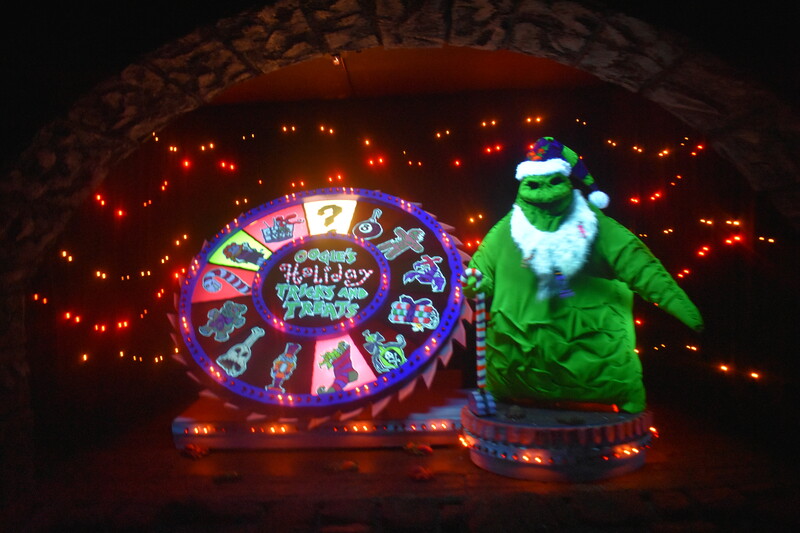 All of the movie characters come to visit during their favorite season–Jack Skellington, Sally, even Oggie Boogie. 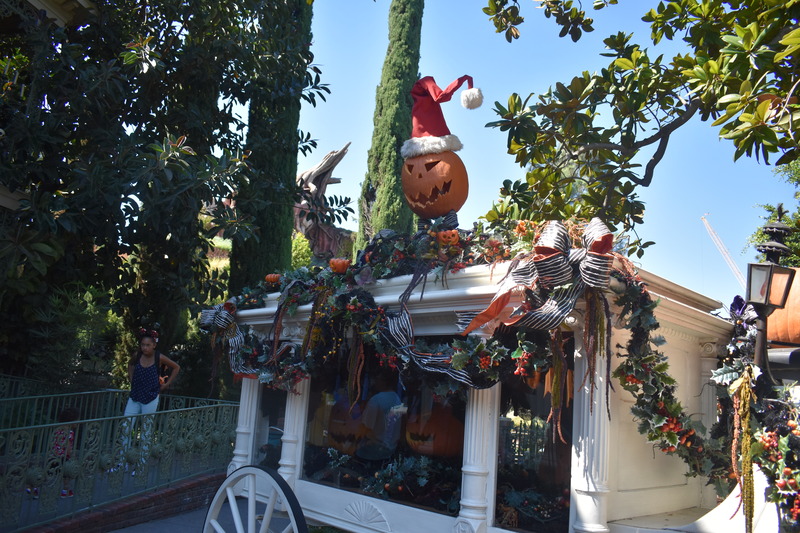 From the first glimpse of the Haunted Mason, park guests will notice jack o lanterns galore! At the ride entrance, guests are greeted by a giant Jack, ominously sitting above the entrance archway. 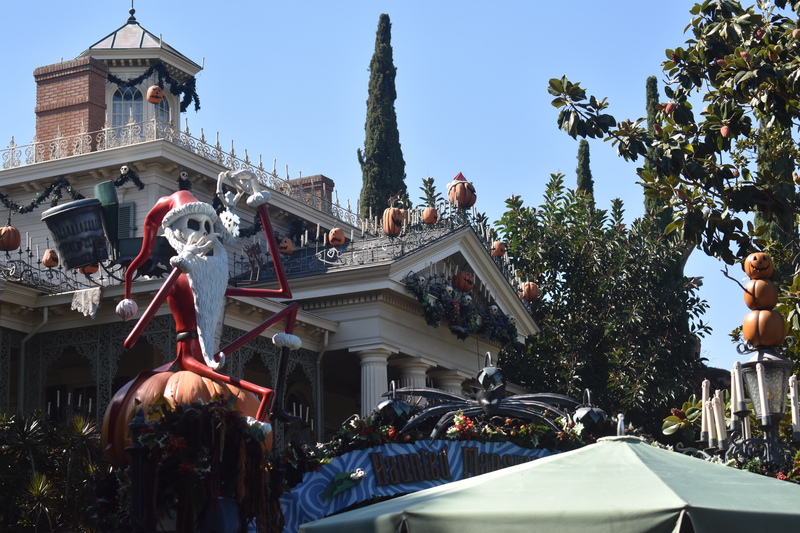 As the ride’s queue winds through the courtyard, guests see more movie elements like skeletons and Santa hats. As visitors finally enter the house, they notice the entire opening sequence is changed. Here is a spoiler if you want to see it. 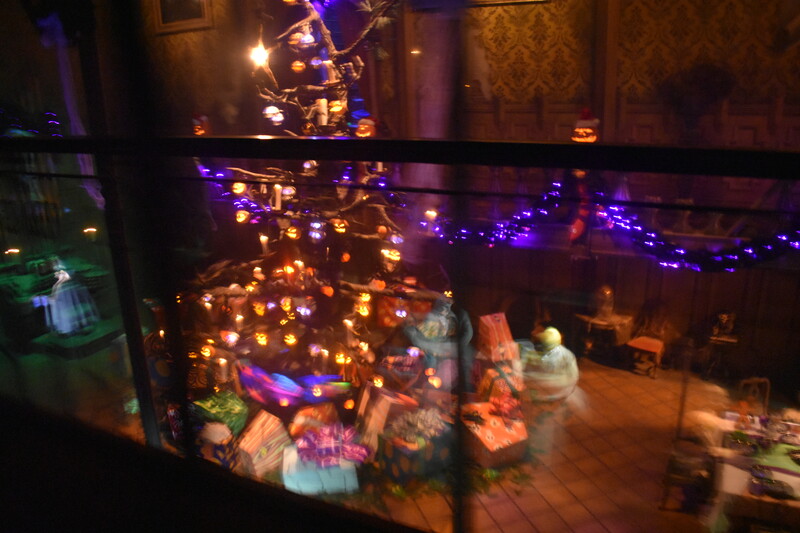 Once guests get to their doom buggy, more movie elements and fun pop up! Even the music is different. 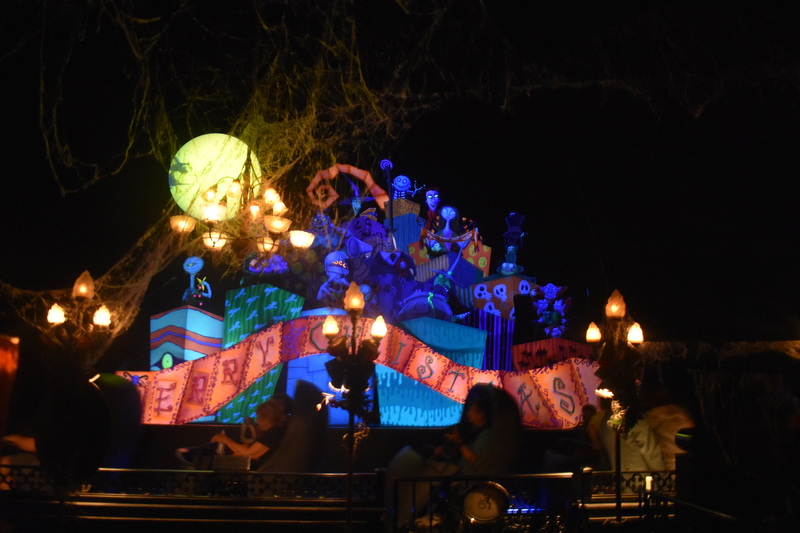 Don’t worry, some iconic Haunted Mansion characters, like Hat Box Ghost, still make an appearance.